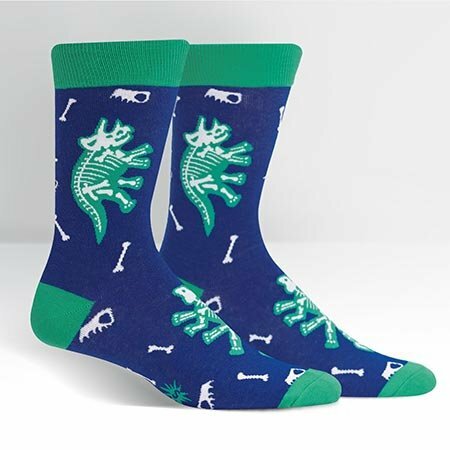 Arch-eology Crew Socks by Sock It To Me. Arch-eology Crew Socks by Sock It To Me. 56% Cotton, 41% Polyester, 3% Spandex. Approximately fits men's shoe size 7-13 and women's shoe size 8.5-14.5. Made in Korea.